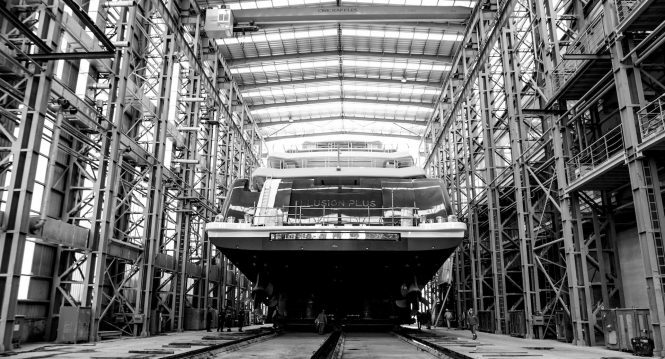 One of the highly anticipated superyacht launches is just around the corner, as 88.5m superyacht Illusion Plus is ready to hit the water. 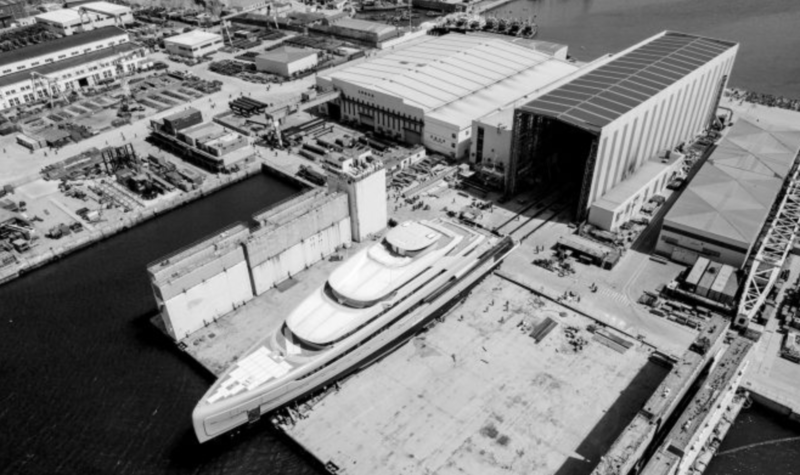 The first images of this mega yacht were released by the shipyard, showing the imposing size of Illusion Plus at the Pride Mega Yachts facilities in China. Illusion Plus was designed by Rainsford Mann Design, while Sinot Exclusive Yacht Design worked on the interior. She is able to accommodate 14 guests in 7 luxurious cabins. There are crew quarters with accommodation for 27 professionals. This mega yacht can reach a top speed of 16 knots and a cruising speed of 14 knots, as she is powered by two Rolls Royce diesel-electric propulsion system. 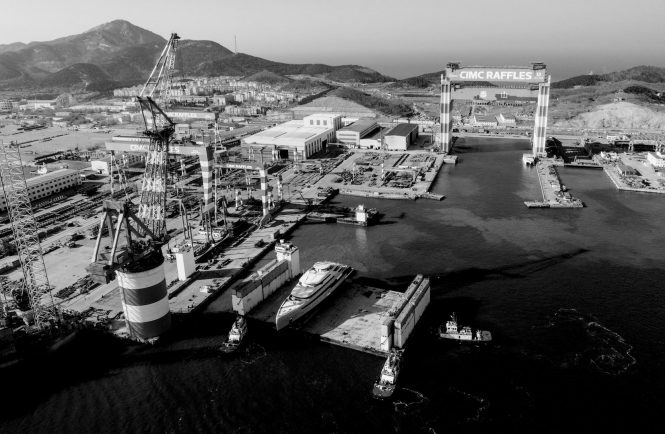 The construction of Illusion Plus started back in 2010 with Pride Mega Yachts undergoing some significant changes in its structure and operations management (Pride Mega Yachts was previously known as CIMC Raffles Yacht Ltd.). After a few updates on the progress, the yacht was scheduled for delivery last year. However, she is now due for completion by the end of 2018. [/vc_column_text][/vc_column][/vc_row][vc_row][vc_column][booking section_title=”Book A Yacht” background_image_url=”http://yachtfantasea1.local/wp-content/uploads/2016/10/image8.jpg” sale_form_id=”375″ charter_form_id=”374″]Join our email list and have the chance to win FREE Charter! Are you part of a bridal party and looking for ideas for an amazing bachelorette party? Maybe you are the HR manager in a local San Diego business looking for a fun-filled end of year party idea for your colleagues? Or perhaps, you just want to treat your significant other to a surprise birthday that they will never forget?